AQ SOLUTIONS’ clinical treatments and home care products offer revolutionary anti ageing with patented Bio-identical Growth Factors combinations that can correct and reverse the biochemical pathways of both intrinsic, and extrinsic ageing. Epidermal growth factor research is a Nobel Prize winning field and Dr Ahmed Al-Qahtani (Dr.AQ), an award winning Immunology professor, contributed greatly to the advancement of this field with his profound clinical knowledge in growth factor biotechnology and regenerative medicine, using the body’s own stem cells and growth factors to repair tissue. Renowned for employing the latest research and technology to pioneer medical breakthroughs for regenerating diseased organ tissue, Dr AQ has introduced some of the most innovative formulations in the world. He developed a process for producing the highest quality Bio-Identical Growth Factors available, identified as the most effective for improving cellular communication, in the exact quantities and combinations needed for fast, unprecedented results in rejuvenation of hair growth, facial ageing and vaginal rejuvenation. 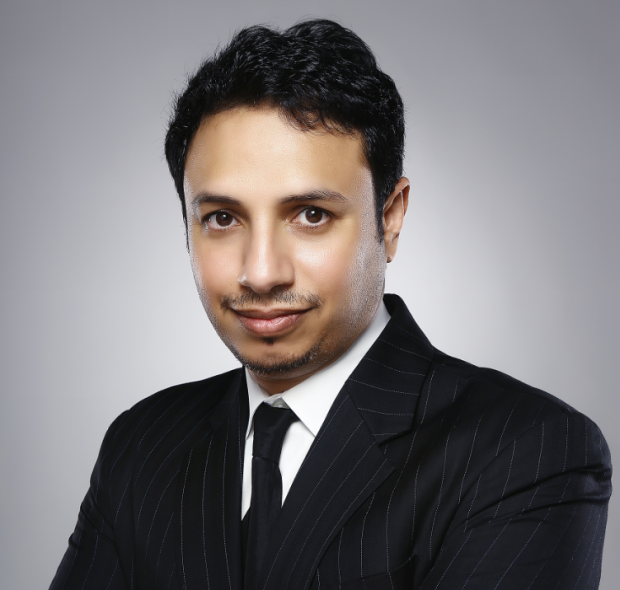 Dr. Al-Qahtani’s GF technology is covered by numerous U.S.,EU and international patents. between development of inflammation and its rapid resolution which includes involvement of specific combination of growth factors. Intrinsic ageing (our internal ticking clock, telomere shortening and slow, irreversible tissue degeneration) is accelerated by extrinsic ageing (mitochondrial oxidative metabolism due to environmental stresses) which produces some of the key mediators of extracellular matrix degradation. Dr AQ identified a number of specific Growth Factors that are Bio-Available within our skin, meaning the body recognises and actually uses them, High-purity human fibroblast growth factors. These growth factors are naturally made by the body’s fibroblast cells that are responsible for the production of our collagen and elastin, both essential in the process of wound healing. As we age, the production of these growth factors decreases, resulting in the inability of the skin to rejuvenate. Supplementing the skin with these growth factors can help the skin naturally rejuvenate itself, returning the skin to its youthful state. Growth Factors and cytokines in wound healing has sparked a great deal of interest, resulting in evaluating their role in repair and remodelling of dermal infrastructure. During the hair cycle, new hair stem cells, dermal papillae, must grow and connect to the hair follicle in order for new hair grow. If our body’s natural growth factors are compromised, the dermal papillae will not have the ability to grow the artery, vein and nerve they needs to connect to the hair follicle and the hair cycle is interrupted, resulting in hair loss and thinning. This new GF-technology remedy effectively addresses hair loss at the source, by repairing damaged hair follicles and stimulating regeneration of active, new hair follicles. The GF-technology utilized is the same remarkable technology behind the skin serums, but the growth factors in Advanced Hair Complex are carefully refined and selected for the special needs of the scalp. AQ’s Recovery serum is the result of advanced, cutting edge methods of producing human growth factors and utilizing them in topical skin care products. The recovery serum achieves dramatic rejuvenation of the skin without forcing excessive cellular proliferation (peeling/shedding) which leads to accelerated teleomere shorting, for unparalleled anti-ageing based on improved skin health on a cellular level. Recovery Serum enhances the skin’s natural process of regeneration and repair. The soothing formula helps relieve irritation from bruising after cosmetic procedures, reduces the appearance of broken capillaries, and greatly decreases post-procedure redness. It is excellent for use after clinical skin procedures, in particular laser treatemnts, to shorten downtime, speed healing, and improve end results. This nourishing serum also helps to diminish the appearance of rosacea, soothe skin traumas associated with first-degree burns, and reduce post-procedural discomfort. The transepidermal delivery system for the Hair Complex and Recovery Serum is the AQ DermaStamp. 140 stainless steel needles create hundreds of 90 degree micro columns in the skin for specific delivery and absorption of the Epidermal Growth factors without creating the V shaped wound and trauma that a roller does.